Turn a cable spool into a duck house! We’ve had cat castles, stylish crates for dogs, even houses for chooks, and now we have one for ducks too! Do you want a large and spacious house for your ducks? Then this cable spool duck house just might be the one you are looking for! It’s a large pet shelter that’s very straightforward that you can build it without help! This cable spool duck house is inexpensive if you have access to old and unused cable spools. 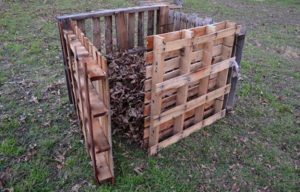 Aside from the spool, you will also need a number of timber slats which you can have for free or at a very low price by choosing reclaimed timber or old pallets. Of course, this cable spool house can also be for other types of pets. You can use it as a chicken coop or an outdoor shed for your cat or dog. Is this going to be your next project? Disassemble spool: Having never played with them before, I was pleasantly surprised at the elegance of the engineering of these spools: an enormously heavy and rugged apparatus held together by only six bolts! So all you need to do to take the spool apart is remove the bolts. Sounds simple enough, right? Well, it may very well be, if your spool didn’t have too rough a life before it found its way to you. In that case, all you have to do is sit the spool on its “wheels,” render either the nut or the bolt head stationary with some vice grips or a wrench (and perhaps a friend to wield it, unless you have an enormous wingspan), and loosen from the other end with your socket wrench. The slats will slide out and fall as the bolts loosen. Then all you have to worry about is crushing your toes or fingers or skull or fine china or small pets when the last bolt gives way and the heavy round chunks succumb to gravity. But if only a little rust is present, plan on using a great deal more profanity and other rust-battling measures. Make new bolt holes: At each end of the bolts, there’s a “top hat” washer (but a curved one… perhaps more of a “derby?”) about two inches across, nestled in a deep recess. For this design, we need to move the bolts from the inner slot to the outer edge, which means we need new holes for our washers. I figured out where to drill by drawing lines from the center point of the round, across an existing bolt hole, and out near the edge. I cut a shallow hole using a 2″ hole saw, then a deeper one with the same center point using a 1-1/2″ hole saw. The wood between the hole saw cuts was easily chiseled away (I used a screwdriver, not a chisel – don’t tell, okay?) until the washer had a comfortable place to sit. Previous PostBuild a clever floating pull-out crate storage!